Lawrence Grant Hetle Jr., was born on October 19, 1948, at Saint Andrews Hospital in Bottineau, ND, to Lawrence and Ruth Hetle. In 1967, Lawrence graduated from Dunseith High School. In 1972, he was united in marriage to Armella Speldrich. Through their marriage, they were blessed with six children. 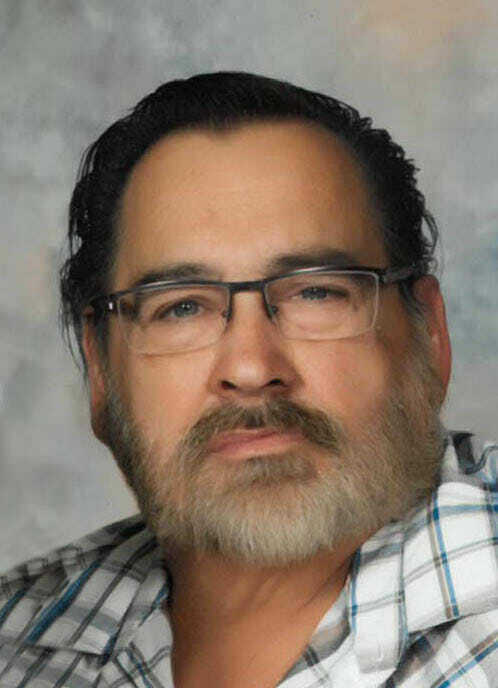 Lawrence passed away on November 11, 2018, peacefully at his home in Sykeston, ND. He is survived by his wife of 46 years. His children: Lori and Randy Guthmiller, Leeds, ND; Larry and Shandel Hetle, Moorhead, MN; Bob and Korena Hetle, Mesa, AZ; Mark Hetle, Mesa, AZ; and Ashley Hetle (Jordan) Carrington, ND. Seven grandchildren: Christa and Mike Davis, Mandan, ND; Jarrett and Lacey Guthmiller, at home in Leeds, ND; Taylor and Jasmine Hetle, at home in Moorhead, MN; Kenadi Hetle, Jamestown, ND; and Hadley Hetle, Carrington, ND. Two brothers: Veryl (Elaine) Hetle, Underwood, ND; Leonard (Beatice) Hetle, Kansas City, MO. Three sisters: Cheryl Uzeta, Deer Creek, MN; Karen Delorme, West Fargo, ND; Pauline Hetle, Dunseith, ND. He is also survived by many nieces and nephews. Lawrence is preceded in death by his parents, an infant sister and brother, an infant son, Joseph, and two brothers-in-law. Visitation will be held one hour prior to the funeral at Evans Funeral Home, Carrington. Funeral Service will be held Saturday, November 17, 2018 at 2:00PM in Evans Funeral Home, Carrington. Peace in this time of sadness. My thoughts are with the family. I never said anything, but I noticed. I noticed how much you loved your children, your wife. How you would take them to the Zoo in Kansas City and to Worlds Of Fun Amusement Park. Not for your own fun but to see the excitement and Joy on their faces. You couldn’t do all the walking because it was difficult for you. You went anyway. You wanted to take in their excitement. You loved your family so much. You were a good man. I noticed. So glad to have known you. Sorry for your loss, may he rest in peace. Our sympathy and prayers are with all of you. So sorry for your loss. Our sympathy and prayers for all of you. Our most sincere sympathies to you Armella, and to all the family! Peace, love, and prayers we extend. Thinking of the family at this time of loss. We are so glad we had the chance to meet Lawrence this summer while you were in Arizona visiting family. From what Ashley tells us, PaPa was a Grandfather hard to beat. We are so glad Hadley had him for her Grandpa. Your family is in our prayers. Armella and Family, so sorry for your loss. Our deepest sympathy to all of you. Armella, so sorry. You and your family are in our prayers. May you find comfort.